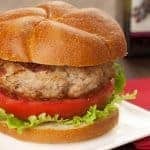 Thanks to a special combo of ingredients that get mixed right into the meat, these turkey burgers are so moist and flavorful you can skip the condiments and top them with nothing but crisp lettuce and sliced ripe tomato. 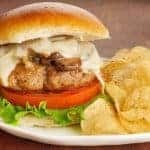 Finely chopped salami (we used Genoa), grated Asiago cheese and balsamic vinegar mixed right into the meat add the flavor, while mayonnaise and panko combine to enhance and retain the turkey’s natural juices as the burgers cook. Place the turkey, salami, asiago cheese, mayonnaise, balsamic vinegar, panko, salt and a few grinds of black pepper in a mixing bowl. Combine thoroughly. 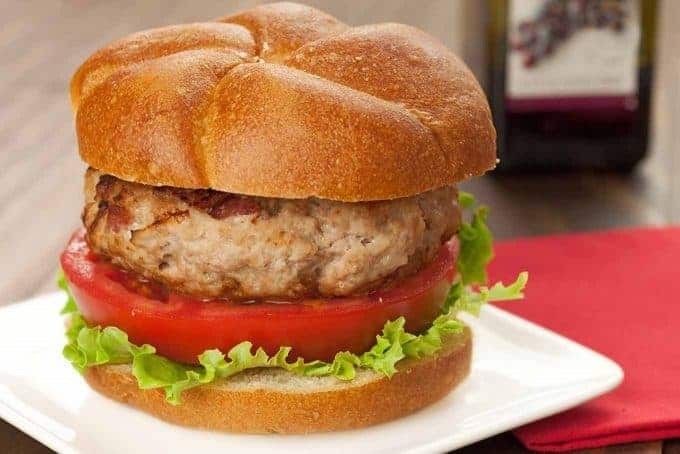 Form the mixture into 4 uniformly-sized burgers, about 5/8-inch thick and using your thumb, make a depression in the center of each. Heat the olive oil in a heavy skillet over medium-high heat. 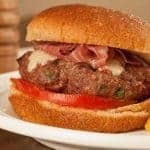 Pan fry the burgers until cooked through, about 4 minutes per side. 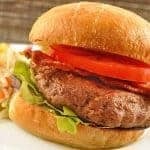 Allow the burgers to rest for 5 minutes before transferring to the rolls and topping with lettuce and tomato. 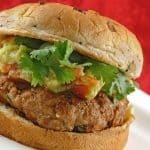 Note: You can also opt to grill the burgers on a gas or charcoal grill that’s been preheated to a medium-high temperature. Oil the grates and grill for 8 to 9 minutes total, turning once.